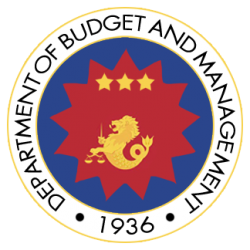 Budget and Management Secretary Florencio B. Abad announced that he will soon convene the recently-created inter-agency task force to create a harmonized government performance management system that will reward performing institutions and public servants. He lauded Administrative Order (AO) No. 25, issued by President Aquino III before end-2011, which mandates the development of Results-Based Performance Management System (RBPMS), by integrating the various performance monitoring tools used by oversight agencies, in six months. “Government authority should be matched by a corresponding level of accountability. Through this harmonized performance management system, we want to ensure that good performance by government agencies and individual public servants will be rewarded, while weak performers will be penalized,” he said. Abad also announced that President Aquino has authorized the release of P5 million as an initial investment for the development of the RBPMS. The fund will be managed by the Development Academy of the Philippines (DAP), the task force’s secretariat and technical resource institution. Through A.O. No. 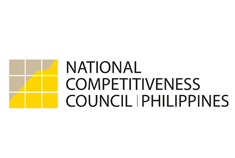 25, President Aquino instructed the task force—composed of the Department of Budget and Management as Chair, the Office of the Executive Secretary as Co-Chair, the National Economic and Development Authority, the Presidential Management System and the Department of Finance—to develop the RBPMS within six months. He also instructed the task force to involve the Civil Service Commission and the Career Executive Service Board in developing the RBPMS and to seek the insights of the Commission on Audit and the Office of the Ombudsman. He also said the task force should closely engage the private sector, through the National Competitiveness Council, in this endeavor. Abad said the RBPMS will bolster the Aquino administration’s bid to strengthen acco0untability mechanisms in government. He also noted that the development of RBPMS is a Philippine commitment to the Open Government Partnership. “President Aquino defines accountability as both a commitment to uphold the highest integrity standards and as an obligation to achieve measurable performance outcomes. As we relentlessly run after the corrupt, we are also strengthening government accountability by ensuring that we have a single system that will measure and reward performance,” he said. “In the end, we envision the RBPMS to help rescue government institutions from a culture of mediocrity and evasion of responsibility. In its place, we want to establish a transformed bureaucracy that values excellence, competitiveness and accountability,” he said.